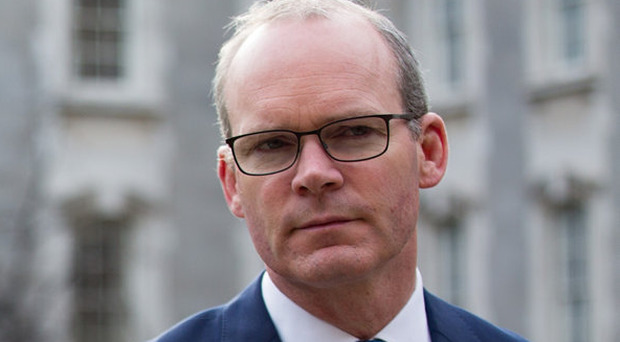 Tanaiste Simon Coveney has met with political representatives in Belfast following the murder of Lyra McKee. Fine Gael election candidates will campaign on a promise of fighting to reduce the Local Property Tax in their area, the Irish Independent can reveal. Parental leave will eventually be extended to nine weeks - despite concerns over the cost for schools, hospitals and small businesses. Education Minister Joe McHugh has raised the prospect of reducing the number of pupils small schools will need to have a certain quota of teachers. Fine Gael local election candidates will pledge to work on cutting Local Property Tax in their area, going against a key Government report. Taoiseach Leo Varadkar has been in written communication with US First Lady Melania Trump - but is refusing to release his letter on the grounds it constitutes 'international relations'. Talks to restore powersharing at Stormont should begin immediately following the murder of journalist Lyra McKee, the SDLP has said. Cabinet ministers have raised serious concerns over the Government's plan to give thousands of new parents seven weeks' paid parental leave, the Sunday Independent can reveal. Fine Gael will use roadside street lights to introduce high-speed broadband to every part of the country, according to the party's local election manifesto. The starting point of any good profile interview begins with the subject's childhood. Two new opinion polls have shown conflicting levels of support for the country’s two main political parties. The involvement of consultancy firm PwC in two reviews relating to the controversial National Children's Hospital (NCH) project has been branded a "gross conflict of interest". A senior Fianna Fáil TD has said he was "mortified" at party colleagues who queued up in the Dáil chamber to meet rock star Bono. Having used a historical speech in the Dáil to defend Irish peace, Nancy Pelosi yesterday went to see the benefits of the Good Friday Agreement for herself. The Government will consider taxing so-called 'cuckoo funds' if they continue buying up residential property in blocks, Tánaiste Simon Coveney has conceded. SDLP Leader Colum Eastwood is to contest the forthcoming European elections in Northern Ireland. Finance Minister Paschal Donohoe has blamed "geographically uneven increases" in home prices for his decision to postpone property tax reforms. Insurance companies have refused to automatically provide consumers with details of their premium from the previous year as part of the renewal process. The minister responsible for regulating the betting industry has claimed he is powerless to address gambling addiction, saying it is a health issue. Fears over how to justify the spiralling cost of bringing high-speed internet to the most remote parts of the country have seen the Government stall on a decision yet again. The Taoiseach opened a new post office in his constituency - as more than 150 face closure across rural Ireland. Concern is mounting over the rising cost of funding the Fair Deal for nursing home care, as demand for the scheme soars. A major row has erupted between European election rivals Independent MEP Luke 'Ming' Flanagan and Matt Carthy of Sinn Féin. Fianna Fáil is preparing to keep Leo Varadkar in power until early 2020. The likelihood of a general election this year has evaporated on foot of the new Brexit deadline of October 31. Local elections are usually an excuse to give the Government a good kicking - but next month's outing will have a different narrative. Businessman Peter Casey plans to join the same political grouping as Fine Gael if he is elected to the European Parliament.